So respected by the community was Josephine Blackstock that when she retired after 31 years as Director of the Oak Park Playgrounds, she was given a brand new 1952 Plymouth coupe. She had been director of the playgrounds since their inception in 1921. Nationally known for her innovations in children’s play and programming, she was also author of seven books for children and one for adults. She spoke at 30 national recreation congresses, while Recreation Magazine published many of her articles. During Blackstock’s tenure (and under the village recreation department until 1980) five playgrounds were under separate administration from the Park District. The first playground was in Pyott Park on the east side of Oak Park, renamed by 1926 for Robert Louis Stevenson. With her passion for children, she insisted that the playgrounds be named for children’s authors. Three other playgrounds were renamed for Hans Andersen, Eugene Field and Lewis Carroll. On the creation of Barrie Playground Park in 1931, Peter Pan author J.M. Barrie sent a personal letter of thanks for the honor. 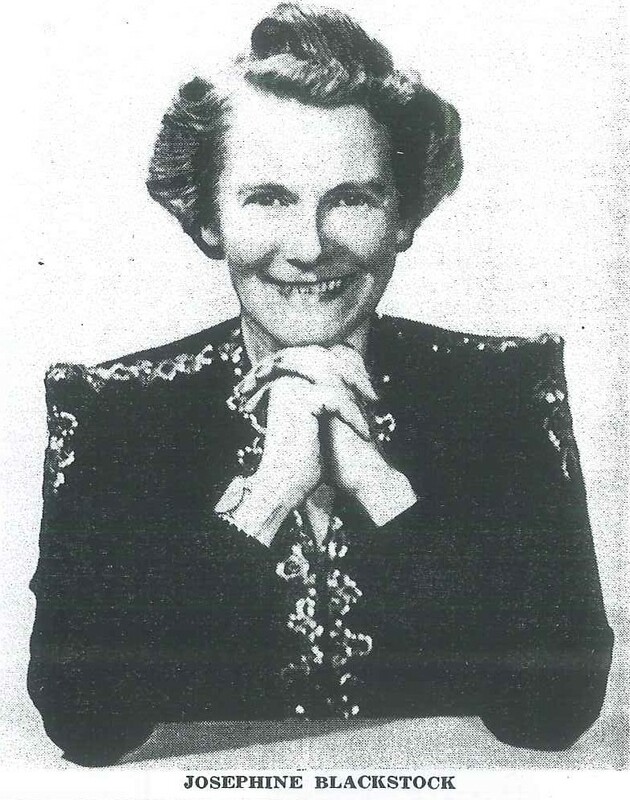 Blackstock was described as “The outstanding woman in recreation in the middle west”[i] in 1933 when she was chosen to direct all activities at the Enchanted Island, devoted to children at the Century of Progress Exposition in Chicago. It was a singular honor; Enchanted Island was a five acre combination amusement park, playground, and activity area, including a children’s theater. Under Blackstock’s direction the Oak Park playgrounds won many awards including Field’s second place in a National Recreation Association contest for the most beautiful playgrounds in America. Individual program participants won first place in a US government sponsored scrap lumber handicraft contest, and a national horseshoe championship, among others. The playgrounds gained a national reputation for dramatics, with many children’s plays written by Ms. Blackstock and directed by her assistant Lilly Hansen. (Ms. Hansen succeeded Blackstock as playground director.) Plays were performed outdoors and in the playground buildings, while many were performed in a more structured theater in the second floor community center in the old Cicero #2 firehouse (now Oak Park River Forest Museum). Among all her innovations, she regarded creation of a pre-school program her greatest accomplishment. A native of Canada who moved to Chicago with her parents in about 1894, Josephine became a U.S. citizen in 1927. She moved with her sister Edith to Geneva, IL after retirement, and then to California. She died suddenly in October, 1956, while visiting friends in the Chicago area. She is buried in Fairfax, California.